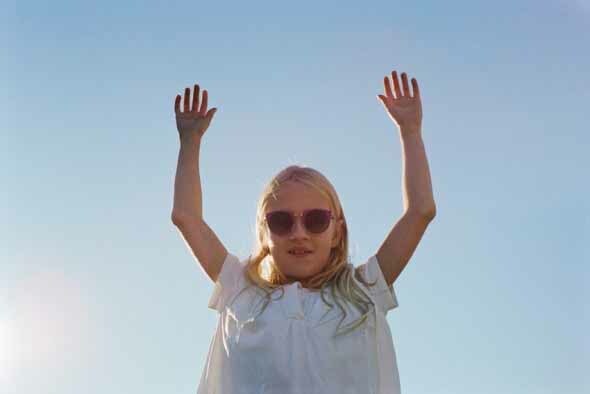 With names inspired by the individual characters of the animal kingdom – PANDA, SPARROW or JAGUAR, the MYKITA FIRST collection is designed for children from eight years old. Made of stainless steel, MYKIT FIRST covers all of the label’s classic eyewear shapes, including rounded, panto, cat-eye, pilot and rectangular models. 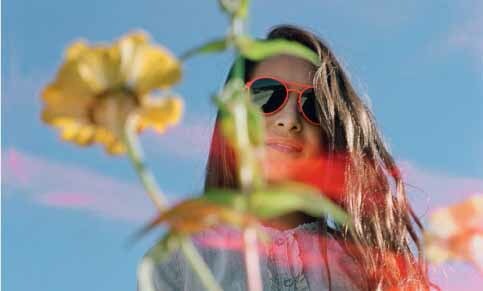 MYKITA FIRST carries on the distinctive MYKITA design aesthetic. Four optical and three sunglass frames make up the range of seven unisex models, where fun and chic form meets with a variety of vibrant colours including Shiny Silver, Lilac, Fluo Red, Night Blue or Black. The in-house design team worked together with a group of children from the MYKITA HAUS to ensure the ergonomic specification of young faces were met, and early tastes also catered to. Well-suited to the action that comes with youth, the frames are adjustable, sturdy yet ultimately light. All models are sealed with a rubber coating, providing a robust and scratch-resistant surface, except the uncoated and sophisticated shiny silver. Brightly coloured temple tips on selected models add to the fun. Characterised by bold shapes and lines in vibrant colours, the organic and slightly imperfect style of his work perfectly complements the natural mood and setting of the campaign photography, which the artist has reinterpreted in his own visual language. The result is pairs of pictures, where the colour and composition of the illustration mirrors that of the photograph. MYKITA FIRST sunglasses are fitted with tinted ZEISS lenses that provide maximum glare control, plus 100% protection against UV rays. All glasses from the MYKITA FIRST collection come in an especially designed case. The durable slim-line cover in a matte dove grey with a powder blue accent keeps glasses safe from harm and offers easy accessibility via a magnetic clasp. The MYKITA FIRST collection is available from May 2015 at MYKITA Shops, selected opticians and fashion stores.